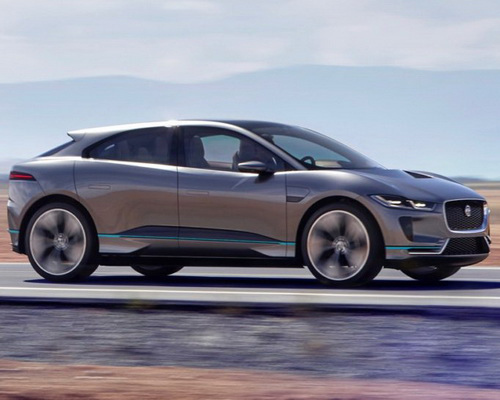 Tinuku ~ Los Angeles Auto Show 2016 displaying new car Jaguar I-PACE SUV electric-powered ready on the roads by 2018. 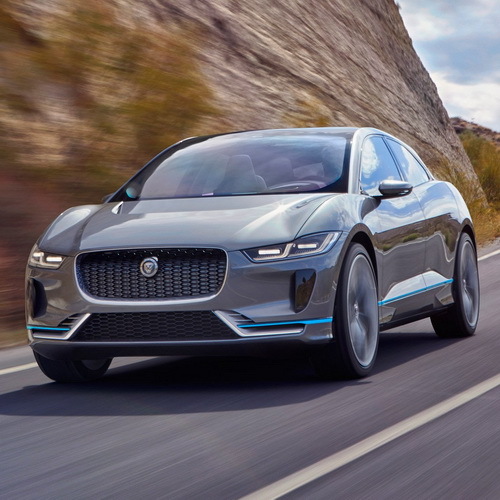 The SUV I-PACE has 90 kWh battery produces 394 horses power, 516 foot-pounds torque from two electric motors and driving range 310 miles (500 kilometers). 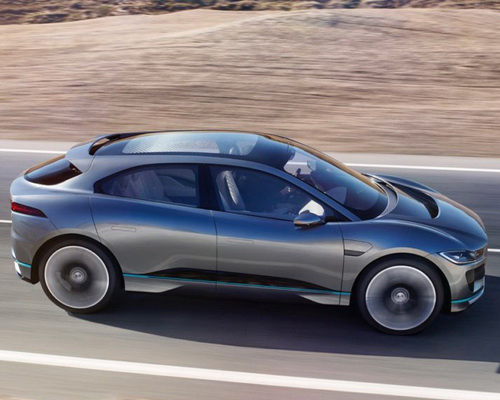 Los Angeles Auto Show 2016 unveiling carmaker brand Jaguar said I-PACE capable reaching 62 mph faster than most cars. Electric cars do not use conventional engines and designers to maximize interior for passengers and baggage than many larger SUVs. "This is no-compromise electric vehicle designed from sheet of paper. We have developed new architecture and selected only the best technology," said Ian Callum, Jaguar Design Director. All-electric SUV accommodating space for five passengers as the dramatic design which offers glimpse into the future of vehicle brands. Cars will be able to reach 310 miles on single charge and will be able to accelerate from zero to 62 miles per hour in four seconds. 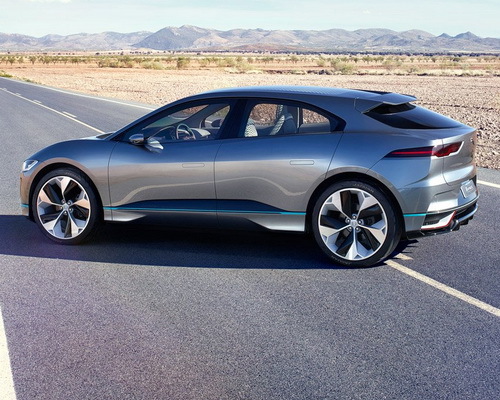 "I-PACE concept represents the next generation of electric vehicle design. 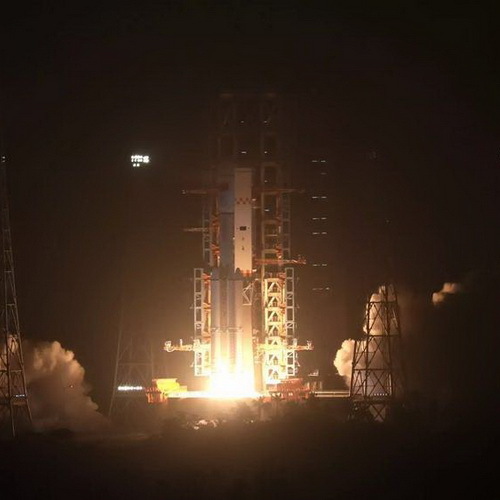 It's dramatic, retracing the future, advanced design with beautiful interior. 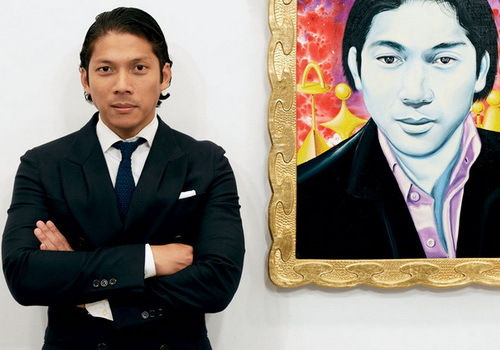 Products authentic Jaguar, electrical technology and contemporary craftsmanship," said Callum. I-PACE SUV powered by battery that is specifically designed and placed under the floor to giving the vehicle low center of gravity and in turn generate the dynamics agile. Users only need to charge the battery once a week and fully charged for two hours. Luxury interior design is done using premium materials to position the seat like sports car. The glass roof allows view of the sky and two touchscreen provides an experience like at home. "Every feature accommodates the hallmark of British craftsmanship. 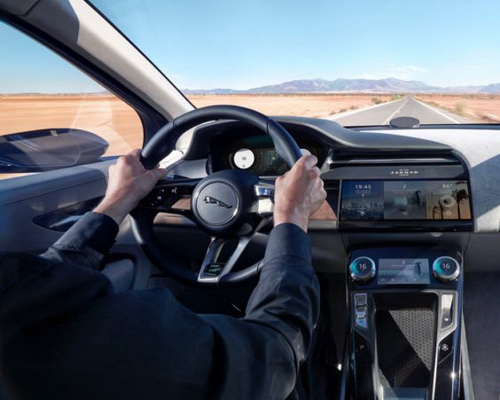 And also digital craftsmanship with two touch screens serve information when and where you need it, limit distractions and enhance the driving experience," said Callum. 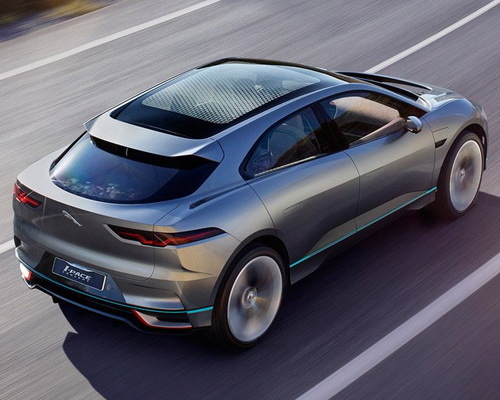 The concept of I-PACE exudes muscular performance, low hood, flanked by the wheel arches to combine aesthetics. Digloss distinctive hexagonal grille retains the key elements of Jaguar design, while utilizing aerodynamic airflow and help to reduce drag. Narrow LED lights emphasize the clean lines of the vehicle. Slim profile, sweeping lines, big wheels and rear thigh muscular represents new generation of electric vehicles for the Jaguar brand excellence unite to create dynamic aesthetic that reveals performance, innovation and style. Muscular arches surrounding each 23-inch gray wheel with gloss black inserts and fancy shaped diamonds. Beautifully framed front wings toward the front view which lets drivers choose the path through the corners full of confidence. The panel instrument positioned low and simple horizontal line. Beautiful metal framing console access to the storage area under the control panel is design that will recur in the future Jaguar others. Integrated button allows the driver to move hands simply. Windsor leather covers the front seat with the signature Jaguar. The fine details of the audio speaker grille integrated into door handle like jewel that refer Jaguar pattern. Panoramic glass roof extends in corner raked windshield and provide natural light to interior.